The term local SEO is unknown to many small business owners but for some businesses this is all they need to succeed online. Our comprehensive local SEO checklist will help you optimize your website for local SEO. If you don’t want to read the whole article, you can go straight to the local SEO Checklist. Let me give you a couple of examples to understand this better. 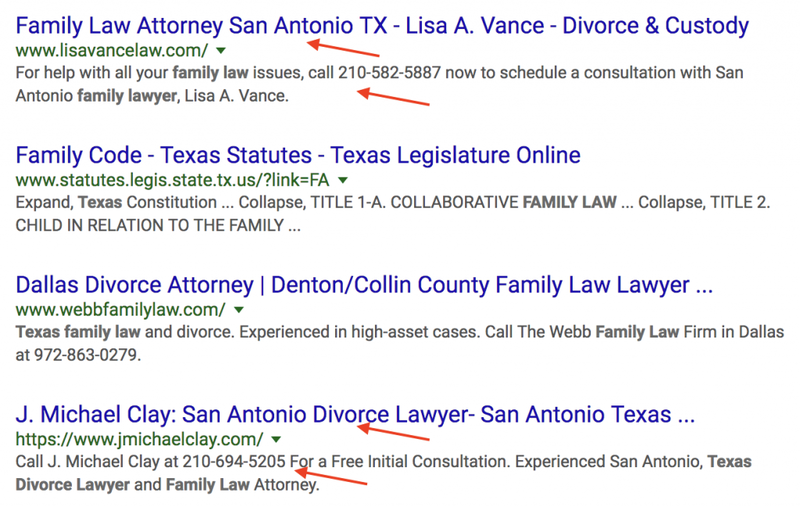 When a user types the location in the search query, then the user-intent is clear and Google will try to satisfy the user by showing in the top results businesses (in this case law firms) that are registered to operate in the state of Nevada. When you search google.co.uk for the term florists in London you will get a list of flower shops that have a physical business in the general area of London. On your next trip to New York, open Google and type Italian restaurants in New York City. I’m sure that the returned results will help you choose a nice restaurant to enjoy a memorable pasta or pizza. Why? 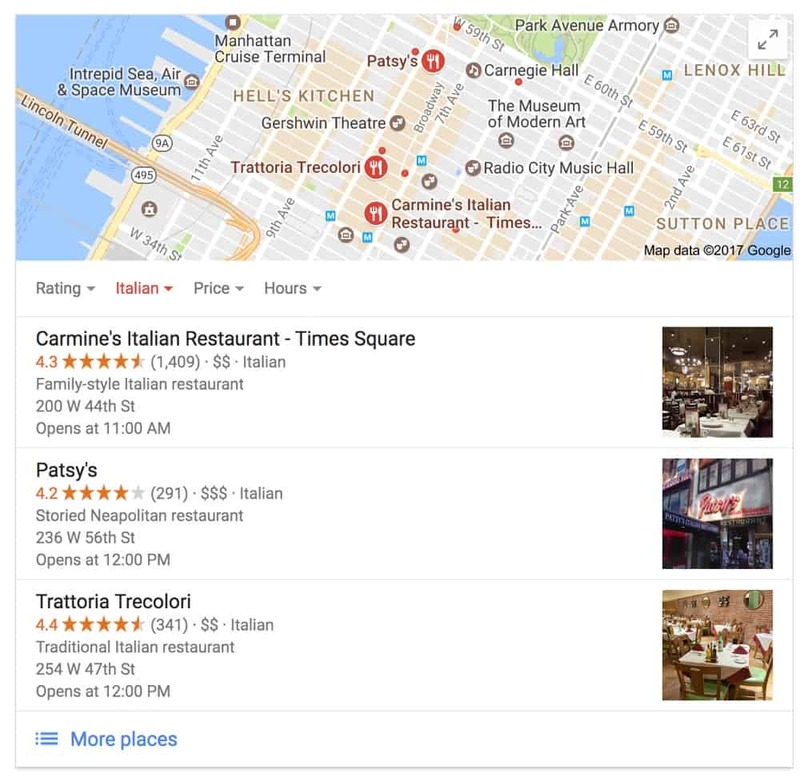 Because as we will see below, businesses (in this case Italian restaurants), have to prove that they deserve one of the top positions in the search results. Google is very careful as to which websites to showcase in the local search results box, since the local companies that get a top listing will receive higher CTRs (click through rates) and traffic. The user wants to find a business (address or a telephone number), in the particular area defined by the query, so as to take a visit or call to satisfy a requirement. Google on the other hand, wants to keep users happy by giving them details for companies that satisfy the user-intent. Someone may say that local SEO is similar to long tail SEO but with the location added in the query string, and this is correct. Actually, we can say that people looking for local businesses are the most targeted searches you can find online. From the examples above, it is clear that every business that has an address and operates in a certain area needs local SEO. Do you own a restaurant, a barber shop, a law firm? Are you a doctor, mechanic or a retailer? You need to have a website that is optimized for local SEO. People use the Internet to search for a business before they actually visit and if they don’t find yours, it’s obvious that you are losing customers and opportunities and someone else will take advantage of them. What are the benefits of local SEO for small business? Increase your chances of appearing higher in the SERPS – As you can see from the examples above, businesses that are chosen to appear in Google local results (including Google Maps) are more likely to receive more visits than websites that don’t appear in the recommendations. More conversions – The conversion rate is higher, since visitors coming to the website from local search are highly targeted. Brand visibility and awareness –People searching for businesses in your area will know about your existence and this will make your brand more recognizable and also raise awareness’s about your business. Higher return on investment – An optimized website for local search can generate more value to a ‘brick and mortar’ business, since all they want is to get customers searching the web for businesses in their area. This generates a higher return on the investment made and potentially faster growth than companies who don’t take advantage of this. How is local SEO different than general SEO? Local SEO optimization is for targeting searches in a specific geographic location while SEO general practices are applicable for global wide searches. It should be noted though that all SEO advice about on-page or off-page SEO is also applicable for local SEO as well. The big difference is that for local SEO optimization, you also need to provide location awareness signals to Google. If you are searching from mobile or if you have allowed Google to track your location when searching from Desktop, you don’t have to type a location in your search query because Google already knows your location. In other words, if you are physically located in San Francisco and type in indian restaurants on Google search from your mobile, Google will return the same results as if you typed indian restaurants in san Francisco. The same is true if you search for indian restaurants near me. Should all businesses practice Local SEO? No and the reason is that if you try to target users in a particular area, it will be more difficult to rank for keywords that are related to global search. Take for example my business, reliablesoft.net. We have clients from all over the World and since we want to rank for more general terms, we do not provide any local signals to search engines, other than those we need to give to our users for business clarity and trust. We have talked about the importance and benefits of local SEO to businesses but we have not yet come to the most important part of this post i.e. what you have to do in order to optimize your website for local search. The local SEO checklist below has all the information you need to get started. One of the first things that search engines encounter when crawling your website is the logo and this is a good place to start your local SEO optimization. ALT text is important for all images but it’s more important for the logo. You can use the ALT text to give more details about the image and in this case the location of your business. For example, you can use ‘Mayers Dental Surgeons, Florida’ as the ALT text. As already explained in my SEO Tips article, you can use keywords in the ALT text but don’t overdo it. Add the location in the title tag of the link. Try to use the same logo across all channels. In all places that your logo is shown i.e. website, FB, Google Business page, Twitter, etc, try to use the same logo and ALT text. Titles and Descriptions are very important for local SEO. As explained in my seo tutorial, the title should help both users and search engines understand as many things possible about the website before visiting. An optimized SEO Friendly title should be between 50-60 characters and if you are targeting local customers then the location (and if possible your area phone) should be part of your title and description. As far as the URLS are concerned, you need to make sure that you have an SEO friendly URL structure that includes an indication of the location (where applicable). On your home page, make sure that your full address details (street number, post code, state, country, telephone number, fax number, email) are visible as text (not image) in a prominent position. See below a few examples of good and bad NAP formats. Important: When displaying your phone number, make sure that you use your local number (which includes the area code) and not your toll-free number. Any signals you can give to Google related to your locality are useful for Local SEO. For the rest of the pages, you can have the contact information in the footer. I have separated the home page from the rest of the pages to stress the importance of the contact information to be visible on the homepage. 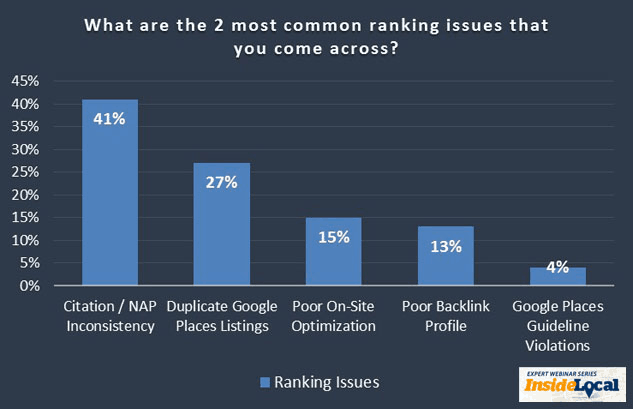 One of the biggest mistakes many people make, when it comes to Local SEO optimization, is the inconsistency of NAP information. It is vital that your contact information is consistent in all channels. This means that the address and telephone number you show on the website, should be the same as the address you have on Facebook, Google My Business page and any other places your company is listed. It’s very easy to add a Google map of your business in the contact us page and this is another strong signal of your business location for search engines. 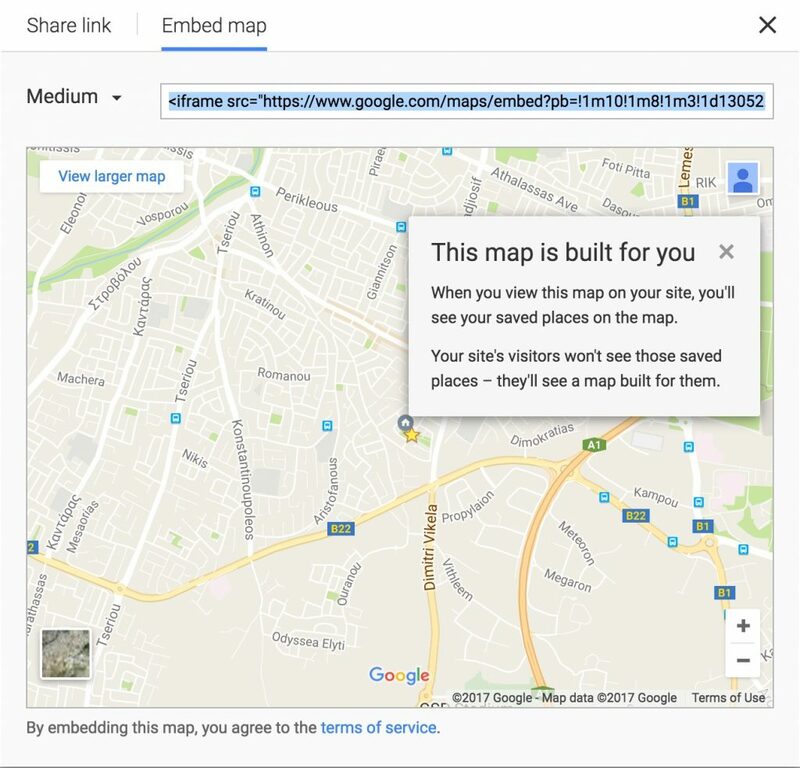 The best way to add a map is to go to Google Maps, type in your address and then choose the “Share or Embed Map” from the top left menu. On the popup window, click the Embed Map tab and copy-paste the code to your WordPress website. Having a Google My Business page is one of the most important SEO factors for Local SEO. When you create an account with Google Business, Google will verify your address and ownership of the business. This will be done by either sending you a mail with a code or through the phone (depending on your country). Once your address is verified, your business will show on the map and also will be a candidate to show in the local results box in the SERPS. The data provided for your business (name, address, category) is correct, complete and accurate. 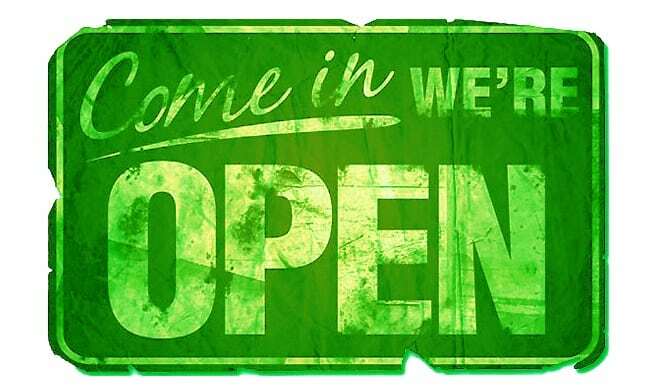 The opening hours of your business are correctly set and up-to-date. You respond to each and every review customers leave about your business (even the not so good ones). You have added photos of your business (both inside and outside, if applicable) to your Google My Business page. Yahoo has a service for local listings and while it is not free, the subscription fee (between $10 – $30 per month), is not a big amount to hold you back. Once you do it, make sure that you link to your Yahoo profile from your Google My Business page. In fact, make the Google My Business page the hub to link to all your other local profiles. 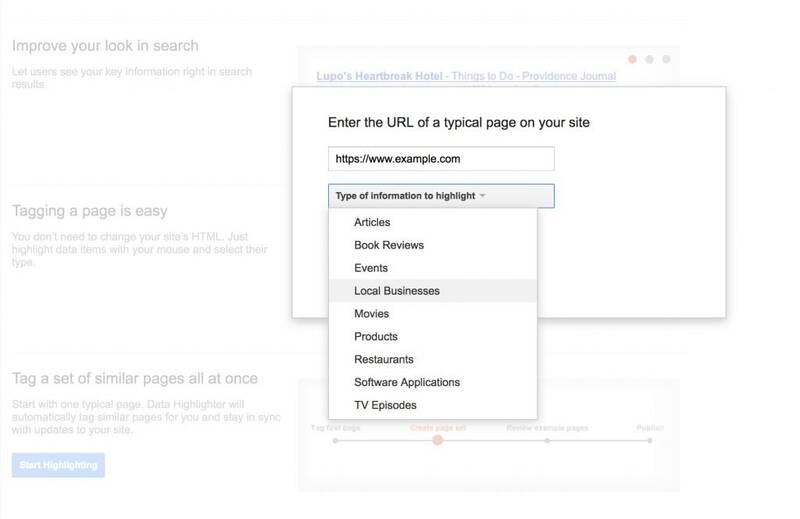 Schemas or structured data markup is a way to ‘describe’ your data so that search engine crawlers can understand the context better. Schemas are very important for Local SEO and this is something you definitely need to implement if you want to improve your local rankings. Depending on the type of local business, you should use the appropriate schema. You can read more information about local business schemas from Google and also from schema.org. Here is an example of how the schema looks for a local restaurant. This piece of JSON-LD code should be added to the homepage. There are various ways to create the mark-up code for your business, you can make use of a plugin or use the Data Highlighter function of Google Search Console. Login to your Google Search Console and click Data Highlighter which is located under ‘Search Appearance’. This is an option of the Old Google Search Console, if you can’t find this option, click “Go to the Old Version” from the left menu. Click the Start Highlighting button, enter your website’s URL and select LOCAL BUSINESS from the drop-down menu. 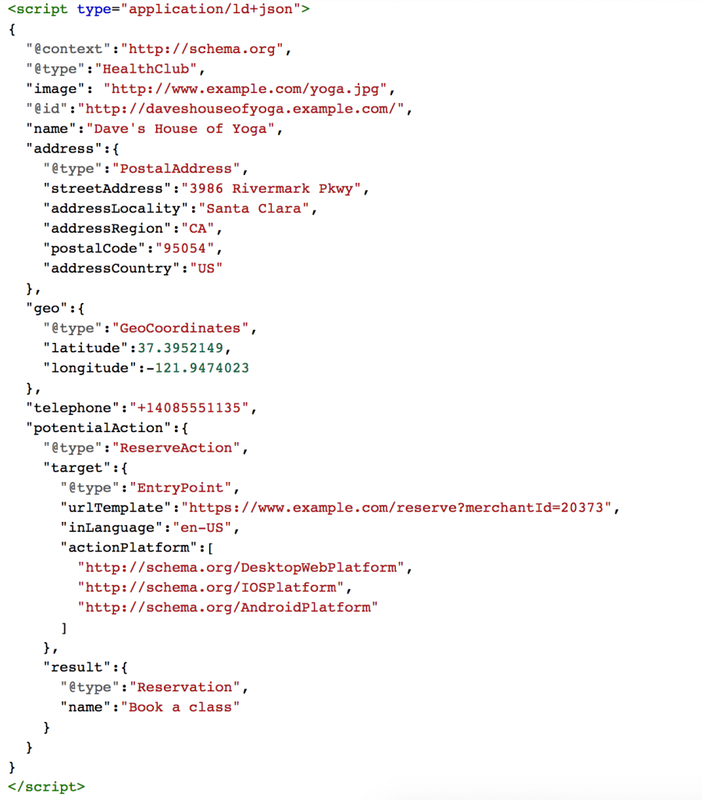 Once you are done tagging, the result is a file that matches the requirements definition of localbusiness at schema.org. You can then download the file, validate it using the Google Structured Data Testing Tool, and add it to your website. Bing Places for Business is free, easy to complete and another way to verify your business information online. Do not forget to link to your Bing profile from your Google My Business page (and vice versa). Register your local businesses with any trusted local directories and remember to be consistent in the address details you are using. You don’t have to overdo it but only submit your businesses in quality local directories with value. 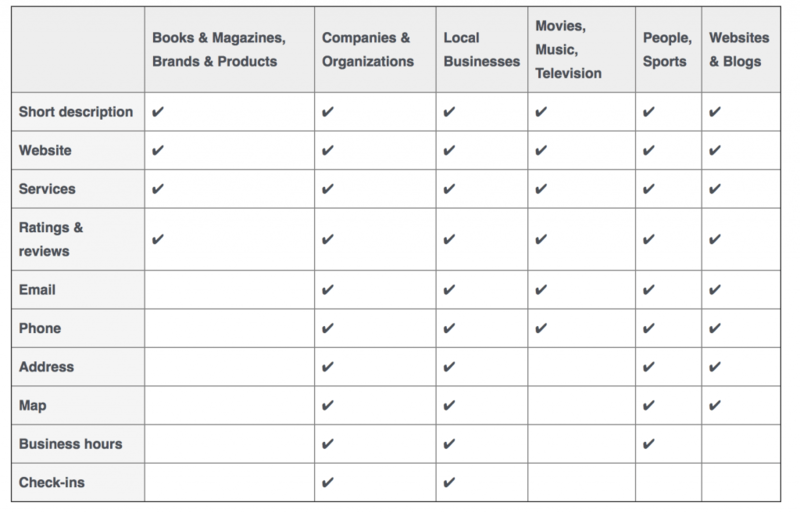 Facebook has a special type of category for local businesses. When you create a Facebook Business Page and choose the category ‘local business’, Facebook will verify your address and business details. When this is done successfully, they will add a grey check mark next to your logo, indicating that your contact details are verified. You can then add your business hours, map and other information about your business. It’s free, easy to setup up and trusted by Google. All you have to do is go to yelp for business and claim your listing. Foursquare for business is another directory to use to enforce your local SEO efforts. With more than 60 million registered users and the growing use of mobile, it is worth taking the time and effort to maintain your business listing with them. Besides registering on the above platforms, it is important to encourage users to review your business and it is equally important to reply to all reviews (either good or bad) on ALL platforms. You can ask your customers to leave a review on their favorite platform either by giving them incentives i.e. 5% on their next purchase or by sending them reminders by SMS or email. Any mentions (backlinks) you can get from trusted websites in the same city as your business, is a strong signal for your Local SEO. For example, you can get a link from a local (online) newspaper or a magazine related to your niche. Local SEO is a subset of ‘normal SEO’ and this means that to get better rankings for local, you need to follow good SEO practices in general. Link building is a tactic that can have a huge impact on your SEO efforts and you should not forget that when optimizing for local search. Proving content that is link worthy, pursuing natural links , promoting your website to get the attention of others and optimizing your content for the Google featured snippet, are practices that will positively affect your local rankings. As already mentioned above, traditional SEO still matters so it is best to perform an SEO Audit of your website for compliance with best standards and practices. You can review my SEO Audit Checklist to get an idea on what are the most important SEO factors to focus on. Do not forget about mobile, especially when it comes to finding customers locally. Many people use their mobile while on the go and having a non-mobile friendly website will keep them away. How can a blog help local SEO? You can post high quality content on a regular basis and do location aware internal linking. For example, from a blog post you can link to your services pages using the anchor ‘financial services in Texas’. This alone will not do much but it is another small step in your overall optimization process. I haven’t mentioned twitter, pinterest, youTube or any other social networks separately, but for best results you also need to maintain an accurate profile on those as well. These networks are great to get some people in your area to follow you since all social channels have the facility to suggest followers based on the location / address information of your business. Can you target Local SEO with PPC? One of the most popular questions I get when discussing with customers about their local SEO strategy is whether you can use targeted PPC campaigns and get those local customers, instead of trying to get them organically by going through the local optimization process. The answer is simple and straightforward, yes you can use PPC to get local customers but PPC does not make SEO obsolete or vice versa. Read my article on the difference between SEO and PPC for more information but the bottom line is that both techniques should be used together and in parallel for maximum results. Local SEO is a valuable tool for every business that has a physical address and wants to use the Internet to get more customers from people searching for businesses/services/goods in their area. The techniques to use for local SEO are over and above traditional SEO techniques meaning that you should first do your SEO as you would without caring about local and then optimize for local SEO using the methods outlined above. Display the full contact information on your website. Optimize your URLS, titles and descriptions for Local SEO. Add schema for local businesses on your homepage. Create and verify your business pages with Google My Business and Facebook Local Business. Try to get people to review your business on trusted services and make sure that you reply back. Thanks a lot Vijay, glad I could help! I like your website,could you tell me how to create mobile app like your website have? Fantastic article! It will definitely push small business owners, or SEOs who are just starting, in the right direction for optimizing their site. This is an excellent article! This will really help small businesses in expanding and and optimizing its resources and profits. I see that the checklist is a must to push through into a larger view of the business. Thanks a lot Dianne for your nice words. This is truly so helpful and informational. Going to put this to work asap! This post is a great resource for local SEO. Thank you for taking the time to put it together and share it! Looking forward to more great SEO posts like this! This post is pure gold! Thanks so much for sharing this knowledge with all of us! Thanks a lot, glad I could help! Really good info, even a newbie can handle local optimization now. Waiting for more great SEO related resources. Enjoyed this article, thanks for sharing this! You did a great job in explaining it. Keep up the great work! Thanks for this beautiful and in depth article. I have also seen that Local SEO is very helpful to get targeted and localized traffic. If your business is solely for your localized customers than it will be very beneficial to increase conversions and lead. Hi, Alex. I never in a million years would have thought about optimizing a logo for local SEO purposes. In fact, I don’t recall ever using alt text on a logo. Thanks! It’s not the biggest local SEO factor but it’s still good to do it. Every small thing helps! Growing small business with local SEO can be the best option, this is the only way that can give you fastest results. I agree with you 100%, Local SEO can generate great opportunities for small businesses. Excellent list Alex. This is a list that every business owner should do. It seems most lack a well put together Google My Business page. Thanks for the work that you put into it. I agree with you and I noticed this as well while working on client websites. Having a Google My Business page is very important for Local SEO. I had already my checklist but wow always are more valuable information to add.